I have booked tiger safaris and bird watching in India and Nepal and I will leave on the 5 March 2018. I had booked a few days in Chiang Mai before the tiger safaris. So when I was back home from Singapore it was just to turn around and go back to the airport and fly to Chiang Mai. I have been in the area before and I want to give it another try. I will of course visit Doi Inthanon when I´m in Chiang Mai. Last time I stayed for a few nights in a hut on Doi Inthanon. Well, it wasn´t so comfortable so I decided to stay in a hotel in Chiang Mai next time coming here. So I will stay in Chiang Mai and my Driver/ Guide will come to pick me up early tomorrow morning and we will drive there. No need for me to have any visa to Thailand and I get 30 days at arrival to the immigration at the airport. I know this man from previous trips to Chiang Mai. Starting out as a Driver. Now he is a full-fledged bird watcher and a good friend. He knows everything in the Chiang Mai area and I look forward for a few days with him. Booked on Thai International´s web page. 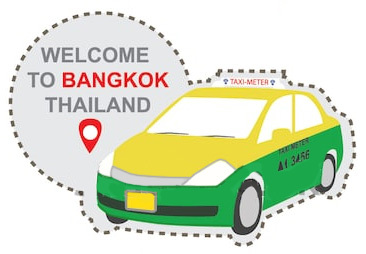 Taxi in Thailand, if you are outside Bangkok is nothing but a scam for foreigner. I was using GRAB and it worked beautifully in Chiang Mai. Of course, it was not any Bangkok TAXI METER prices, but I didn´t had to haggle and fight with drivers asking for ridiculous prices. SO I STRONGLY RECOMMEND YOU TO DOWNLOAD A TAXI APP!!!!! One of the best thing happened to Chiang Mai. I used UBER or GRAB. I think GRAB have bought UBER now but you will find out when you arrive to Chiang Mai. Anyway, you can have both apps on your phone so you are prepared for whatever taxi company is serving the city you are visiting. Nice room, good internet and a good location. Super friendly and helpful staff at the hotel. The water in the shower wasn't as hot as I would have wished for. Maybe it was me, but the AC was either too cold or not cooling at all. The restaurant, maybe the best Khao Soi I have ever had even though it was pricey. 7 Dollar for a fried rice!! Mövenpick Suriwongse Hotel Chiang Mai, well, last time I was living here I gave them 5 stars. This time it was another price, high season? Or maybe because the redecoration was completed. I don't know, but it was a beautiful hotel and the room was very good. But I would only give them 1 star this time and I will change my review. What a scam this was. Checking-in and they give me an upgrade. They changed from room 411 to 401. Later on in my room I discover a letter “Dear Mr. Aladdin” so this room was for me all the time. I never accept any upgrades because I have had so many bad experiences with the “upgrades” But I have stayed here before and room 401 was a gorgeous room. But in the evening, I was in bed and the music started. My alarm is set to go off at 4 o'clock so I can go bird watching. - Do they play music in the next door room? - Who is playing music? - Not from the room? - Do you hear music from the outside? Very strange! She was really playing surprised and she didn't knew anything. - Do you mean that I'm the first one complaining? - How many guest have complained before? So they treat their guests like idiots and I will not come back. 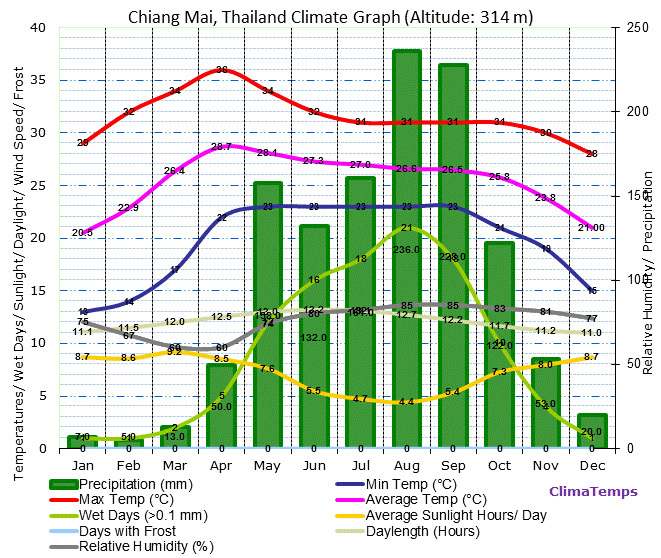 Weather, it can get cold in Chiang Mai during the winter months. And on top of Doi Inthanon it can actually drop to below zero. But I know that there will be no need for any winter clothing. Too much to carry and a little chill can be nice when walking around. There are two sites covering Thailand and I have used them many times. These two web pages are actually everything you need for your birding adventures in Thailand. All the information you need about all the birding spots. Click on the map and then select your spot and you will have maps and everything you need to know about the areas. 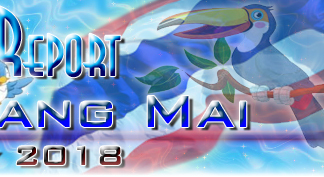 They have put a lot of jobs in to their web pages, North Thailand Birding and thaibirding.com A must to visit before you go bird watching in Thailand. www.thaibirding.com - Nick Upton's one stop only for all your birding in Thailand. 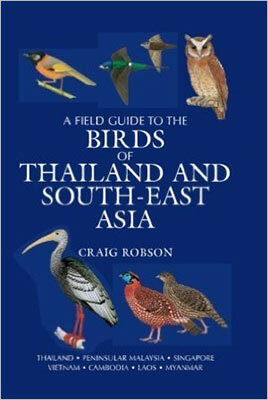 Use both www.thaibirding.com and www.norththailandbirding.com and you have a winner. Some of the maps on www.norththailandbirding.com are way better than Nich Uptons, while some of Nick's maps are much more detailed. So I have found that if I use both the web pages for information, well, nothing else needed. For inspiration, just click LOCATION on both of the web pages and you will have more than enough of ideas and information on where to go in Thailand to look for birds. EXCELLENT work! To find the place, well, should be easy if you use the GRAB/ UBER app. Book a taxi and put the marker on Lanna Rama 9 Park, easy enough. But to stop a taxi and to say that you´re going to Lanna Rama 9 Park will most likely end up with a taxi driver that don´t know the place. I booked from my hotel and I heard them say Suan Luang to the taxi driver. And if you can read Thai it actually say: สวนหลวง ร.9 and that is Suan Luang Rama 9. But be careful, there is a park in Bangkok with the same name. I have been to nicer parks but it is Ok to kill a few hours. In this park I have seen the only Cinnamon Bittern I have ever seen. Snakes, I was putting my sound recorder in a tree, suddenly the what I thought was a rope started to move. I never tried to put anything in the trees after that. If you are in Chiang Mai it is worth a few hours to look around the park even if it is what I call a boring park. Thailand's highest mountain of 2,530 m and a world famous birding destination. 301 Species recorded on www.norththailandbirding.com Doi Inthanon National Park Bird Checklist. The road up the top offers differing habitats and a large altitudinal range. For example the Green-tailed sunbird it lives in open mountain woods from 1825 to 3350 meters elevation. And there are plenty of them at the summit. Last time I was there they had removed the concrete water containers just above the coffee shop next something looking like an office building. The container was open on one corner with water dripping out. And I loved to hide there mid dy when the birds came to “swim” and cool down in the mid day heat. And the trees were full of bird waiting for their turn with the water. There are also many of the very beautiful Bar-throated Minla or Chestnut-tailed Minla. Bar-throated Minla occupies a range of montane forest habitats from 1,800–3,750 m. The species is mainly resident but may move to lower altitudes during harsh winters, coming as low as 1,300 m.
You find the toilet on the left hand side approaching the summit. There is a huge parking lot on the right hand side and on the left hand side there is also a huge parking lot and a few noodle stands. And the toilet is on the left hand side down in the corner of the parking area. 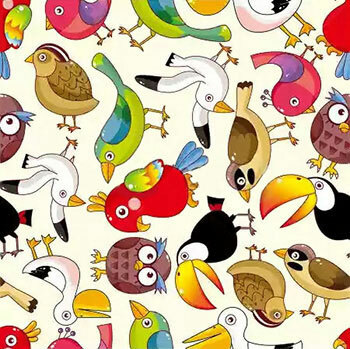 There I see birds all the time. Another area I like is to drive along road #1284 towards Check-point #5. All kinds of different Minivets along this stretch of road. Chiang Dao, a small town in the northern part of Chiang Mai. The limestone peaks reach a height of 2,186 metres, people used to believe the highest point is at the same level of the stars. Chiang Dao is the third highest peak in Chiang Mai after Doi Inthanon and Doi Pha Hom Pok. We parked the car at the gate to the Wat Tham Pha Plong temple. This small forest temple is accessible by an ascent of 510 steps. We walked all the steps up to the temple without seeing many birds. No pictures of any birds to bring back home. But there was a lot of birds where we had parked the car. Outside the toilet there was a tree with small fruits and there was so many different birds flying in and out of the tree. Huay Tueng Thao is a fresh water reservoir at the foot of Doi Suthep Mountain, just a few kilometres north-west of the Chiang Mai city center. It is a military area so don´t be surprised if you end up in a military exercise. It is a famous area and during weekends and holidays you might be better off staying away as it is full of people along the dam. But the list can come in handy to find out the local name of the bird etc. And Avibase have a list with pictures and sounds, excellent! So I have 4 different checklists from different parts of Chiang Mai, Thailand below.